1953 Buick Roadmaster Skylark one of 1,690 produced! It was Buick's fiftieth anniversary and a couple of things stood out that year. The introduction of their V8 engines and a brand new model, the top-of-the-line Skylark Convertible that was a bit of a show piece and an expensive one at that. 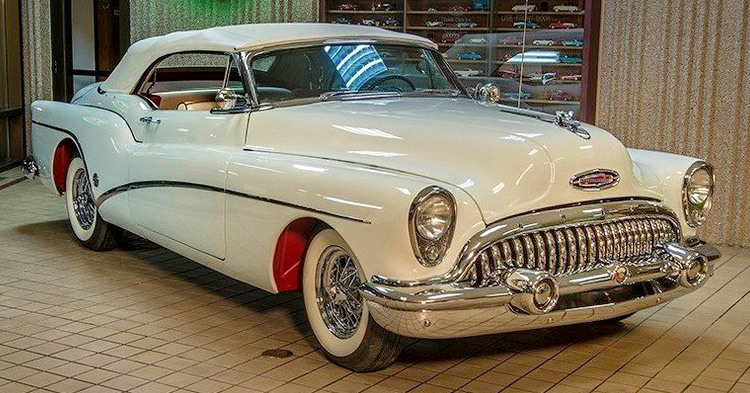 Sat at the top of the Roadmaster Series this 1953 Buick Skylark Convertible in Majestic White looks looks every bit of its prestige status. Although based on the standard Roadmaster convertible the Skylark has a lowered top so sits lower than other Buicks and stands at less than five feet high. It also had its own unique fenders with open wheelhouses. The sweepspear side moldings were actually a taste of what was to come on the standard Buicks the following year. Inside was complete luxury for the time. Those are Helsinki Red leather seats with double depth foam cushions, The front seat is powered, as are the windows. The Selectronic radio with power antenna are also standard along with the power convertible top. Also as standard were power steering and power brakes so this really was a full loaded automobile. It also enjoys luxuries such as Easy-Eye glass and 40 spoke wire wheels. 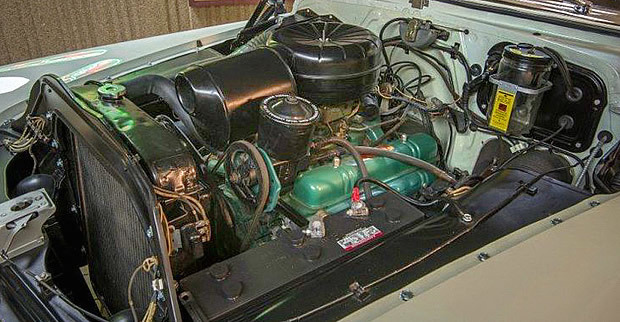 Under the hood there is a 322 cubic inch Fireball V8 with 4 barrel carburetor. Total power output is 188 horsepower. This is paired with a Twin-Turbine Dynaflow Drive automatic transmission. Both were standard on the Skylark. This was an expensive car when it came out costing a cool $5000. A Chevrolet Bel Air Convertible would have cost around $2,175 so you can see the Buick really was quite a chunk of change. 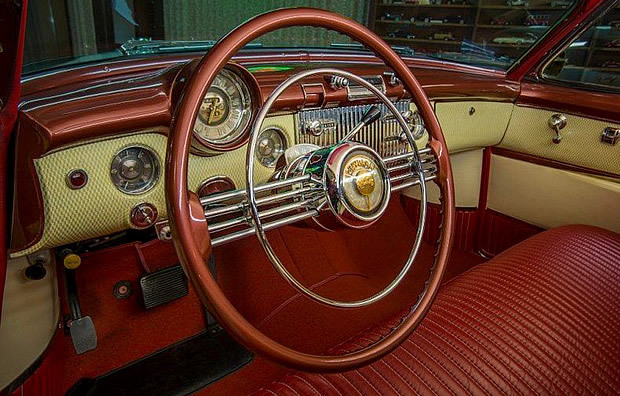 Even the better equipped Roadmaster convertible on which it was based was $3,506. However, the primary purpose of the Skylark was a flagship model, showing what Buick were capable of. A total of 1,690 were produced.